In 1999, at the age of 16, he started as an amateur DJ in smalls clubs of his neighborhood. As a great lover of music, he has a good knowledge of electronic music, especially in Progressive, House and Hardstyle. 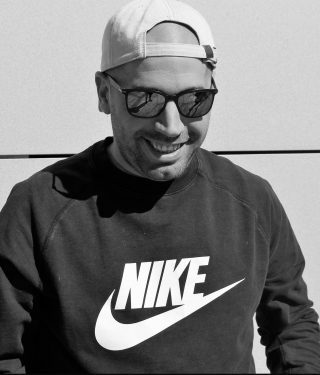 In 2013, he started to work in the radio program ‘Clásicos de la Fiesta’ in Unika FM, with a true reference artist in Spain: Vicente One More Time. Next year, in 2014, he released his first track ‘Nosenada Remix’. 2015 was his official debut year, playing in FABRIK, the most iconic club in Madrid. There, he played in ‘Origen’ session, sharing stage with one of his idols, DJ Zenith (I´m your deejay, scream, energy2002…). At the end of 2015, after playing in many clubs of Madrid, such as Penelope, On, Gloss, Insomnio, Moon, Mileniumstep, Anclas, he came back to play in FABRIK, in the party that he had enjoyed the most: the iconic ‘Remember In’. Later, he began to release hardstyle remixes with Vicente One More Time, such as ‘After Hours Savage and Final Mix’. Due to this remix, he was nominated for Top 100 by Q-Dance. Yago In has also played in festivals, such as Summer Tech-day (Segovia), Carnaval Hard 2016 (Granada) and in tour M.I.S.A (Ibiza). He is currently working in Unika FM, furthermore he is resident in two weekly sessions in Jowke, a new club in the south of Madrid (Alcorcón): ‘Clásicos de la Fiesta’ and ‘Rewind’. He is also resident in the most famous Hardstyle session in Spain, ‘150 by Fabrik’. © 2019 Mainan Music Agency. All rights reserved.